New CD of film music production released on 2018-07-04 on by OpenSoundMusic. Now available worldwide. 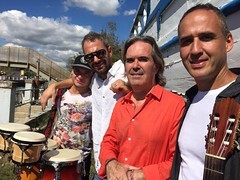 Composers Miguel Fernandez & Fabio Armani (Otras Tierras). Visionary Trends (Music for movie). 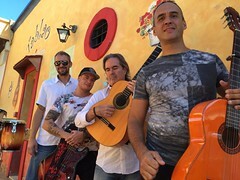 The music of Otras Tierras is an exploration of new aspects of flamenco and chill out music. On the wings of this strong moods the musical project has been conceived and developed by Fabio Armani and Miguel Fernandez, two composers of different belongings and musical culture. Miguel is a flamenco guitar virtuoso of Argentine origins, that starting from the deep knowledge of the techniques and styles of the Flamenco tradition, composes and plays his innovative music. The complementary aspect of Otras Tierras music is provided by the musical personality of Fabio, more jazz and electronic oriented, in which the searching for new sounds and new forms of arrangement characterize the more innovative and modern side of the Ensemble. 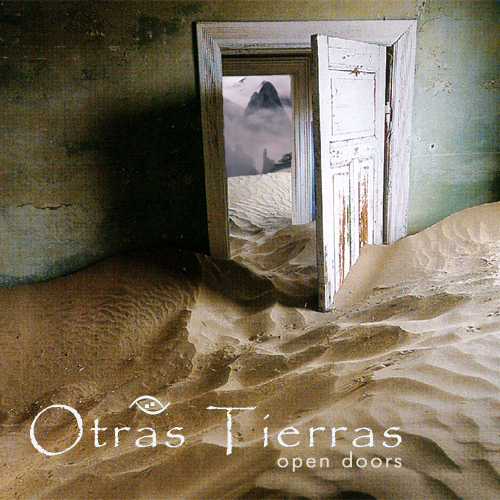 This new CD, called OPEN DOORS, has been produced by the DIFFERENT LANDS label. flamenco & fretless guitars, charango. All tracks mixed and mastered at TANGRAM 7 Studio. All rights reserved.